AARAMBH WELFARE FOUNDATION is located in Lucknow Uttar Pradesh . AARAMBH WELFARE FOUNDATION is registered as a Society at Lucknow of state Uttar Pradesh with Ngo unique registration ID 'UP/2012/0054008' . 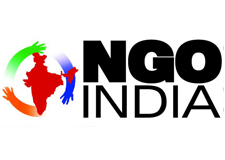 The NGO registration is done by Registrar of Societies with registration number 116-2010-1011 on the date of 16-04-2010, Its parent ORganaisation is PaulFoundation. The Chairman of AARAMBH WELFARE FOUNDATION is Babita Chaudhary and Chief functionary officer is Prashnat Singh. Promoters are Anju Yadav, Pooja Verma, Kaushalendra Pratap singh,.